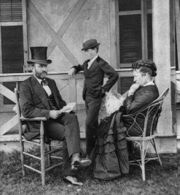 To the Americans of his era, Grant was the most celebrated, famous and respected American of his generation. 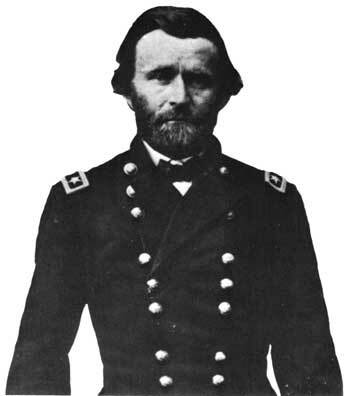 Civil War veterans cheered him wherever he went. He was called "the savior of the Union." His legacy, however, changed, making him one of "the most misunderstood figures of American history... Grant's character has been reduced to a cardboard caricature, which contains the brief description of 'slovenly drunkard' and an indolent, ill-kept President." His personality was not typical of a great general. He was a very modest man. Many thought of him as rough and crude, with a macho edge and hard personality. Those who knew him well, however, often described him as a man with a gentle and forgiving disposition. He was said to be shy and reserved. Grant was a highly moral man who was better read and educated than most of his countrymen. While he preferred to discuss horses, he was knowledgeable in several areas. He could easily talk about military matters, farming, topography, and history. Sometimes Grant's silence was mistaken for stupidity. Soldiers who served with him noted that he only spoke when he had something to say. He did not speak simply to fill the silence. What he knew, he really knew — especially where military matters were concerned. His military communications were precise and clear. No one ever had to re-read them to understand his directions.